Back in the day, mass transit wasn’t part of the vocabulary. Locals just referred to the interurban, a popular mode of transportation that connected Baytown with the Big Town. Passengers from here and Highlands rode the clickity-clack rails to Houston to work and play, traveling on the Houston & North Shore Railroad interurban. While it was no Oriental Express or even close to the svelte passenger trains speeding across the U.S.A., the interurban filled a need for getting back and forth to Houston. 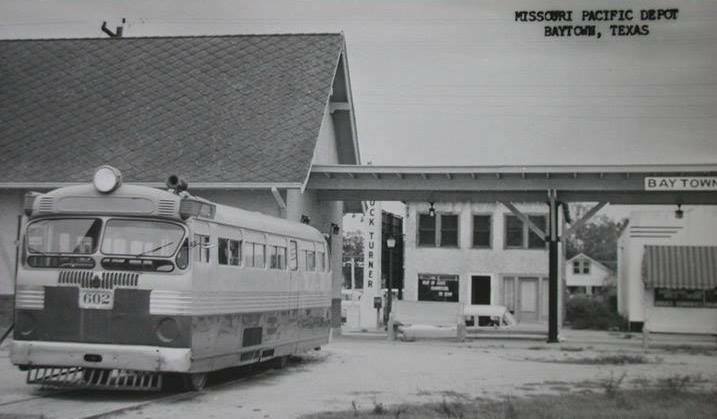 Personally, I have only a vague recollection of riding on the interurban, but I remember the depot on East Texas Avenue next to Wilkenfeld Furniture Store and the station across from Harbor Drive in the vicinity of the Baytown Refinery. I’ve seen photos of the Highlands station but don’t recall that one. Again, I’ve picked the brain of Distant Cousin Dale to learn more about this facet of transportation history. Dale W. Crawford, who served as president of the Transportation Club of Houston in 1990-91 and president of the Rail Traffic Association of Houston in 1994-95, enjoys researching Texas history in general and railroading in particular. Construction on the Houston to Goose Creek line was completed in 1927. Original plans for building a branch line from Highlands to Crosby never materialized. Interurban service extended between Goose Creek and the Union Station in Houston, with the Houston and North Shore interurban tracks ending at Market Street in East Houston. 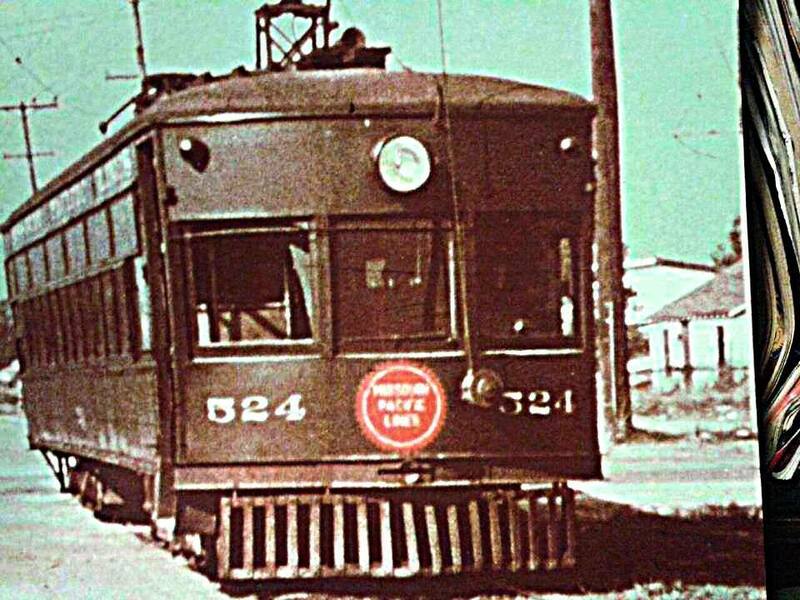 “From there the Houston Electric Co. Lyons Avenue streetcar line was utilized to reach downtown Houston,” Dale said. “In 1931 the streetcar line was discontinued ending interurban service at Market Street. Transportation to downtown was then provided by buses. Johnson had sold his railroad in May 1927 to the Beaumont, Sour Lake & Western Railway, a subsidiary of Missouri Pacific. Years later the Missouri Pacific System merged with the Union Pacific in 1982. 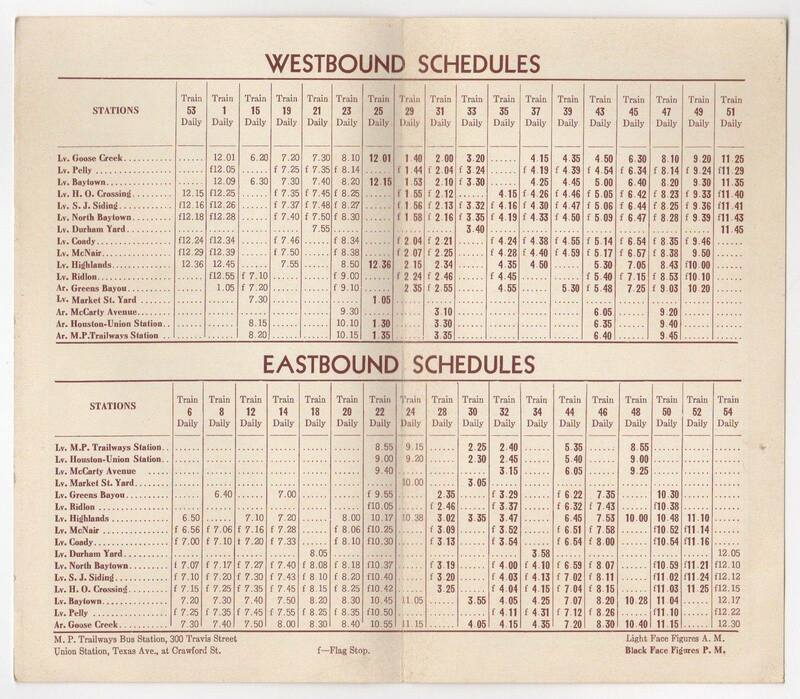 The Houston and North Shore original route to Baytown was through Channelview, then northeast to Highlands and to Coady, and then turned south to Baytown. “Today, the trains originate at North Shore Junction which is slightly west of Loop 610 North, following a route slightly north of I-10 through Highlands and then south to Baytown,” Dale said. He noted a period in Texas history in the early 1900s when electric interurban service was a significant factor in transportation. 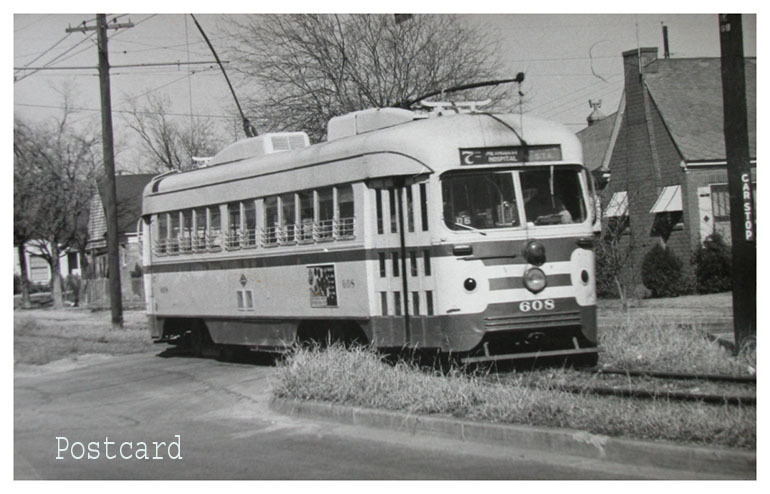 North Texas was home to the largest group of interurban carriers. 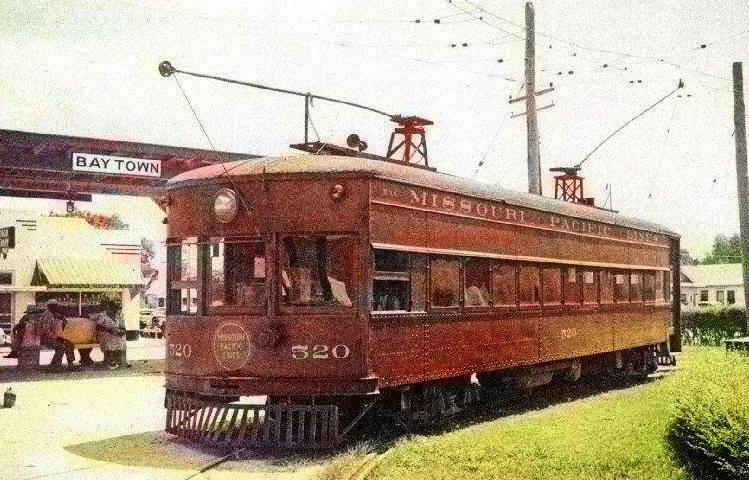 There were two interurban carriers in Southeast Texas. The Jefferson County Traction Co. operated over 20 miles from Beaumont to Port Arthur from 1913 to 1932. 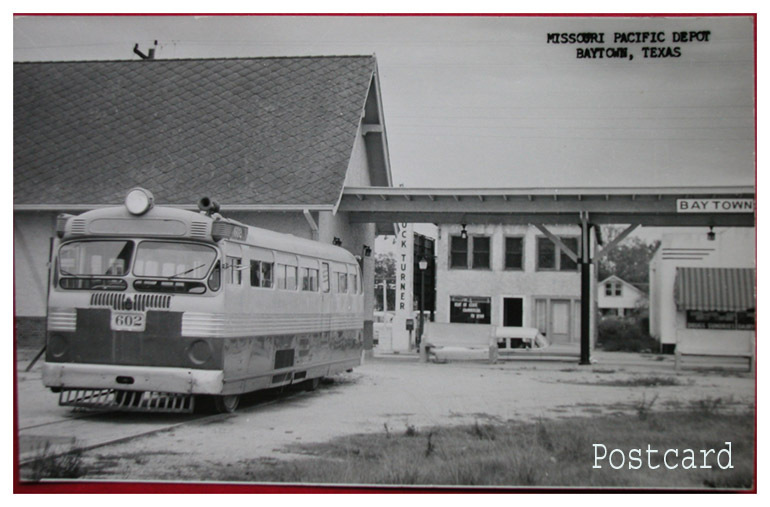 “The last interurban railroad to be built in the United States was the Houston & North Shore,” Dale said, noting it served the nation well during World War II and subsequent conflicts. “The railroad served the San Jacinto Ordnance Depot, Humble’s Baytown Refinery and other war industries in the area. It moved thousands of tons of refined petroleum products, as well as thousands of cars of munitions. Wanda Orton is a retired managing editor of The Baytown Sun. Ever been to Buster Crossing? Gene said his family’s rent house was less than 100 yards from the railroad tracks at Buster Crossing. “How it got that name I have never known and probably never will. We boarded the interurban at Buster Crossing. If you were coming from Baytown, you told the conductor that you wanted off at Buster Crossing. When I would get off the interurban, I was home. “Thompson Road was almost an extension of old Market Street. As you would drive north on Thompson, the first road you would cross was Jones Road. The next was Battlebell. After making a left turn onto Battlebell, the first right turn would be Buster Crossing. That section of Battlebell ran parallel to the railroad tracks. The Harrisons lived a mile from downtown Highlands. When his family first moved to Highlands, it was a different world. Gene recalled it was “a serious rice farming community. Two paved roads. No stop signs. No traffic lights. Every family had gardens, raised their cattle and milked their cows, raised chickens and had pigs and hogs. This was a sustainable life way out on Battlebell Road. “The railroad gave us many hours of entertainment. During good weather, we would walk home from school on the railroad tracks. We became expert at walking on a rail without falling off. We picked dewberries along the sides of the tracks every spring. We caught fish in the ditches on the sides of the tracks. The fish came from rice field farms water overflow that came from the Highlands Reservoir. Wild animals, birds, and snakes were a part of our every day lives. “A few times during the summer, I would manage to get a dime or quarter from my parents to ride the interurban to Baytown to visit some of my school friends. I would go in the morning and come back in the afternoon. Wanda Orton is a retired managing editor for The Baytown Sun.